Nissan Launch MAST from Modulus - Modulus Management Consultancy Ltd.
Modulus has launched their new After Sales platform to all of Nissan’s 230 UK dealers. The new cutting edge system makes it easier and quicker for dealers to generate accurate quotes for work that needs to be done and to provide customers with information on jobs that are going to be needed at some point within the coming months. As well as providing accurate pricing information, their new MAST (Modulus Automotive Sales Tool) system has an Electronic Vehicle Healthcheck built-in, enabling technicians to select the required jobs as the Healthcheck proceeds. Customers are notified of work that needs to be carried out and work that is not immediately required is notified to the dealer in time for them to contact the customer. Using the new MAST platform will provide Nissan with the tools they need to convert more of the non-urgent work and at the same time help build and maintain customer relationships. 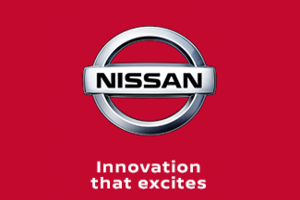 We are very pleased to be providing Nissan with our new Menu Pricing and eVHC solution and we are confident of the positive impact this will have on the network.